DAVOS, Switzerland, Jan. 23 (Xinhua) -- After hearing Chinese Vice President Wang Qishan's latest address at Davos Wednesday afternoon, Randall Lane, chief content officer of Forbes, described the speech as "encouraging and thoughtful," with a "global and optimistic outlook of the world." Citing the Swiss proverb "torches light up each other," Wang elaborated on the Chinese leadership's vision of global governance first outlined by President Xi Jinping in a speech at Davos two years ago. 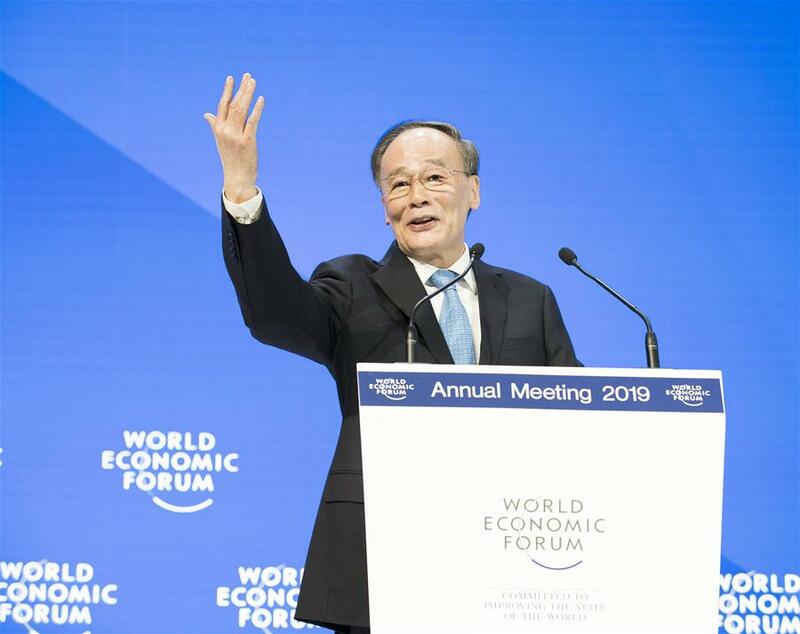 Wang told the star-studded forum that in this era of unfolding economic globalization, the entire mankind has a common stake, and that only through joint efforts can a great future be created for all mankind. "I think it is an important speech in a sense that he is calling for cooperation, not calling for confrontation. His message is, let's be inclusive, let's go for cooperation, and ... that's very positive," said Ricardo Melendez-Ortiz, founder and chief executive of the International Center for Trade and Sustainable Development. "What Vice President Wang said today, I think, is a follow-up and confirmation of what President Xi said two years ago. In a way, it's an elaboration of the message of President Xi," he said. Indeed, Wang's well-received speech showed that two years after Xi's speech in Davos, the Chinese leader's vision of global governance has gained more support from the world elites amid uncertainties. The WEF annual meeting this year deals with challenges and opportunities of globalization against the backdrop of the fourth industrial revolution. 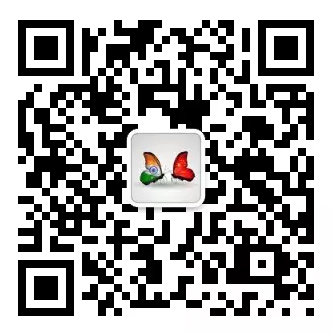 It is a continuation of the Davos meeting two years ago where Xi championed globalization and multilateralism in his speech. Xi in 2017 called for joint efforts to chart the course of economic globalization and forge new models of global growth, cooperation, governance and development. "Mankind has become a close-knit community of shared future. Countries have extensive converging interests and are mutually dependent," he said. Xi's presence and the Chinese wisdom, amid rising global concerns about protectionism and anti-globalization sentiments, had tremendous "historic significance," said WEF founder and Executive Chairman Klaus Schwab. Chinese wisdom again features prominently at the meeting this year whose main theme is "Globalization 4.0" and which has drawn more than 3,000 world elites to the snow-capped Swiss town of Davos. On the first day of this year's annul meeting which runs from Jan. 22 to 25, a roster of young panelists in the opening plenary agreed that a more "human-centered globalization" is critical "for our shared prosperity and sustainable future," a message consistent with Xi's vision of a community of shared future for mankind. Michael Moller, director-general of the UN Office at Geneva, said at the forum this year that countries need to reinvent international solidarity, reinforce multilateralism, and find ways of working together better, smarter and with a much greater purpose and speed. All of the big issues, namely, climate change, migration, health and corruption, need a "collective approach" by the world, he said. According to the agenda, during this year's Davos meeting, UN Secretary-General Antonio Guterres will deliver a special address to "sound the alarm on the state of global collaboration." Trade protectionism, economic nationalism, populism and trade tensions have reared their heads over the past years. Xi talked in 2017 about "a world of contradictions" and warned against protectionism and trade wars. Joe Kaeser, CEO of Siemens, said during this year's China Business Night at Davos that if we failed to deal with the many problems such as populism and nationalism, the international society will further be divided. He called on the world governments and business leaders to "work together." "If you join this process I will support you, I will be your partners," he said. In an interview ahead of the 2019 Davos meeting, British scholar Martin Albrow recalled that Xi had said two years ago at Davos that the global economy is "the big ocean that you cannot escape from" and that any attempt to retreat back to isolation runs counter to the historical trend. Albrow said a major solution offered by China to tackle global challenges and build an open and more inclusive economy is the Belt and Road Initiative, aimed at promoting inclusive growth by building a trade and infrastructure network connecting Asia with Europe and Africa along and beyond the ancient trade routes of the Silk Road. The 2019 Davos meeting also discussed on the first day how businesses and governments can ensure the success of the ambitious initiative as an engine of development and growth. Azerbaijan President Ilham Aliyev said the creation of modernist infrastructure is one of the main objectives of his government. Azerbaijan "definitely" supports the Belt and Road Initiative, he said.